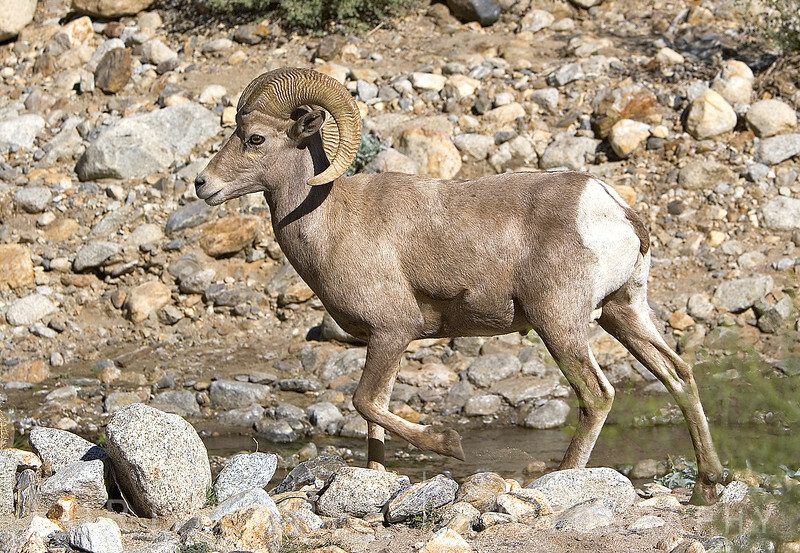 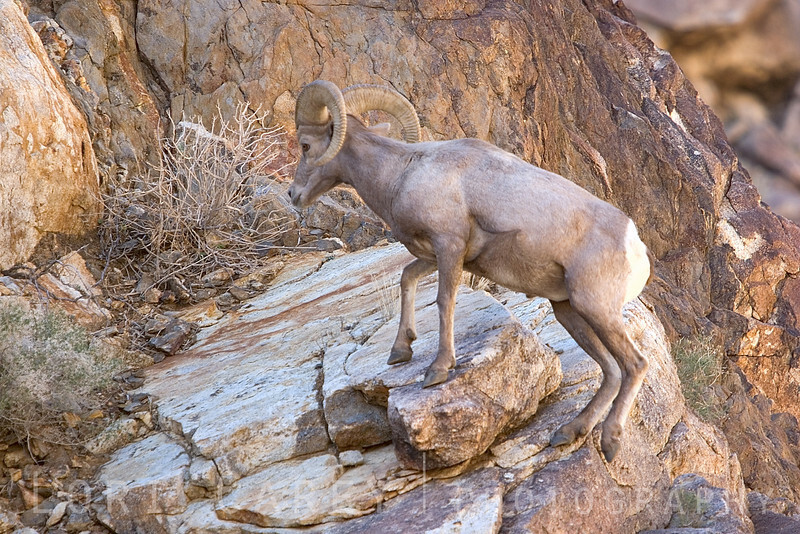 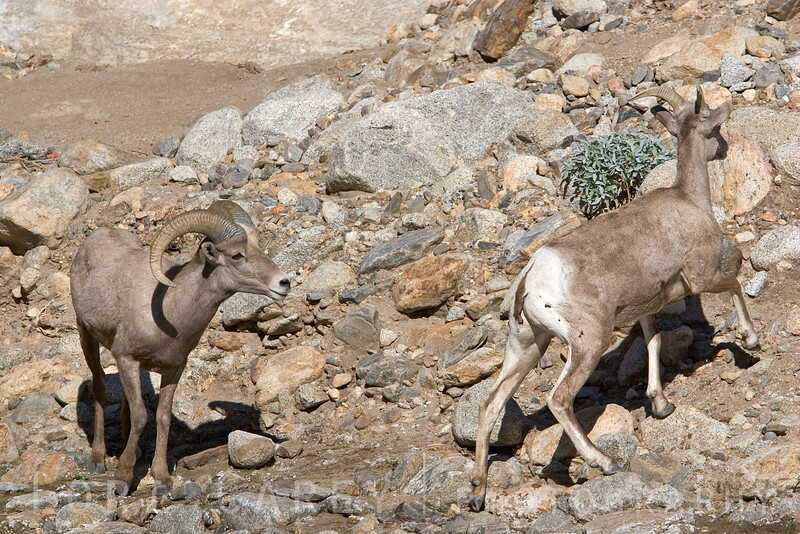 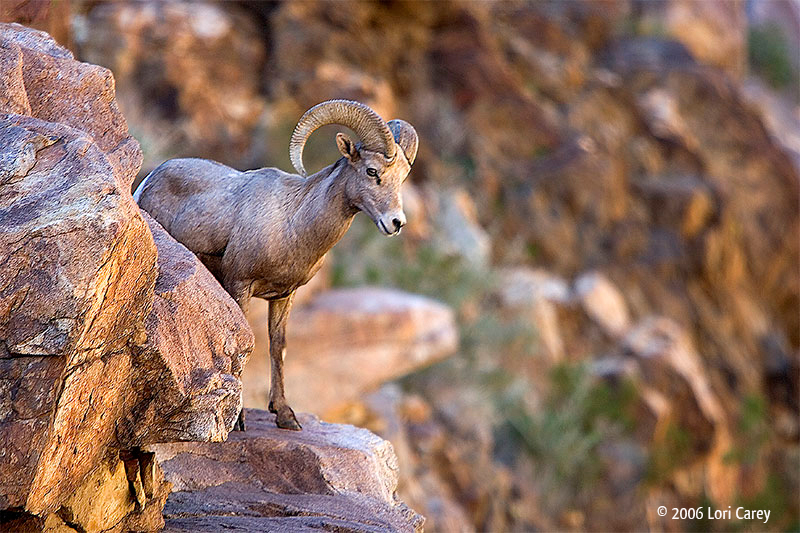 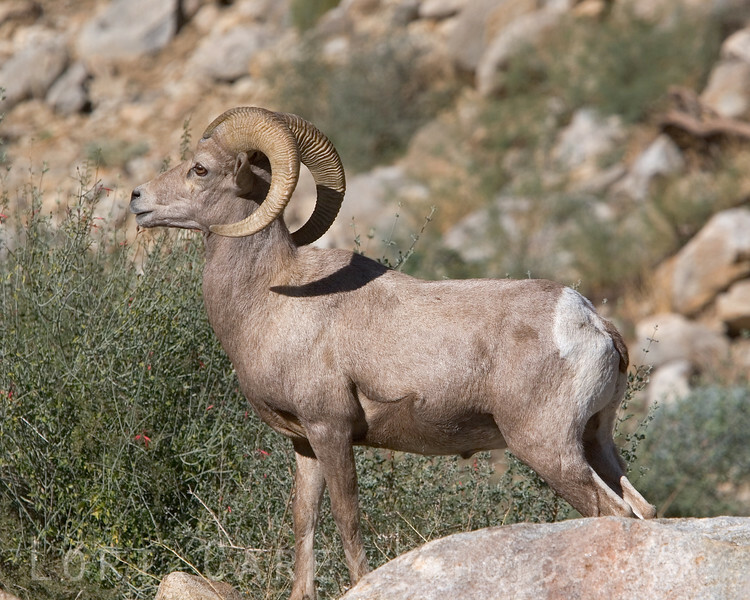 Ovis canadensis has been listed under the California State Endangered Species Act (ESA) since 1971 and the Federal Endangered Species Act since 1998, but their numbers continue to decline rapidly due to urban expansion and mountain lion predation. 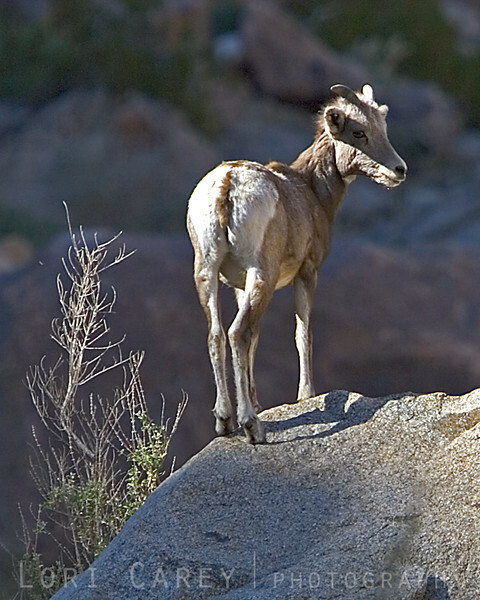 Current estimates are that less than 800 remain in the US, with some estimates as low as 335. 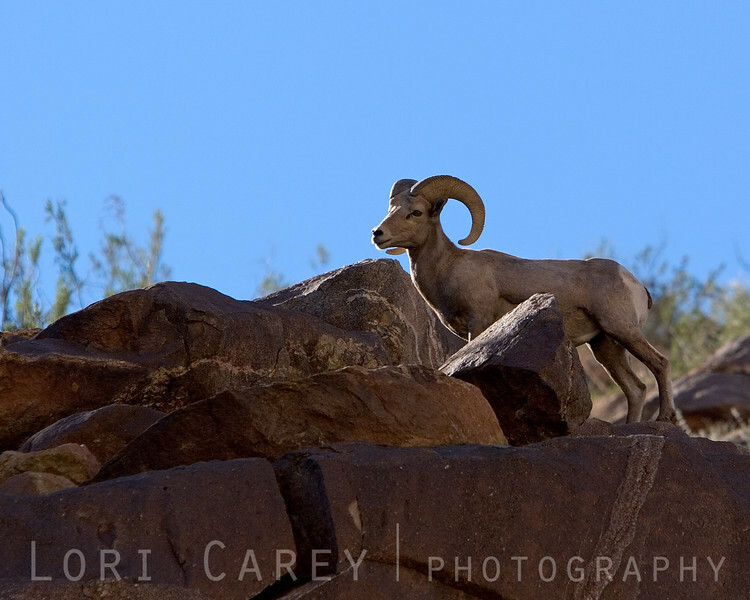 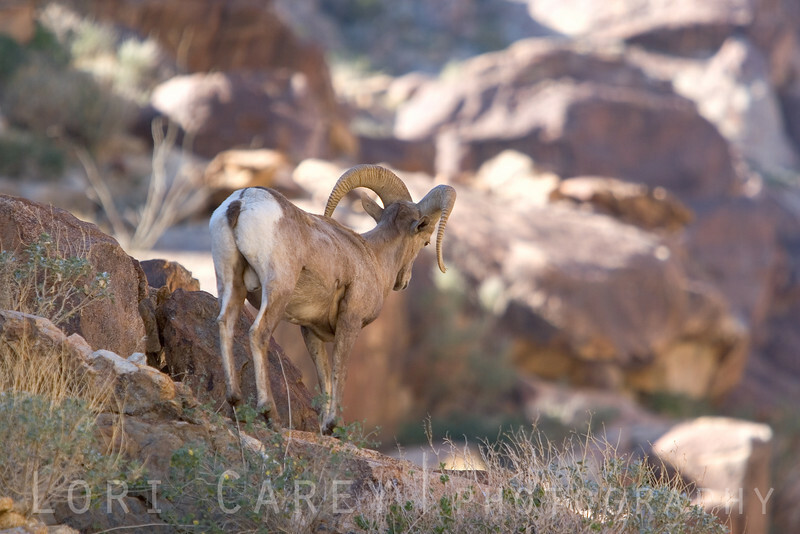 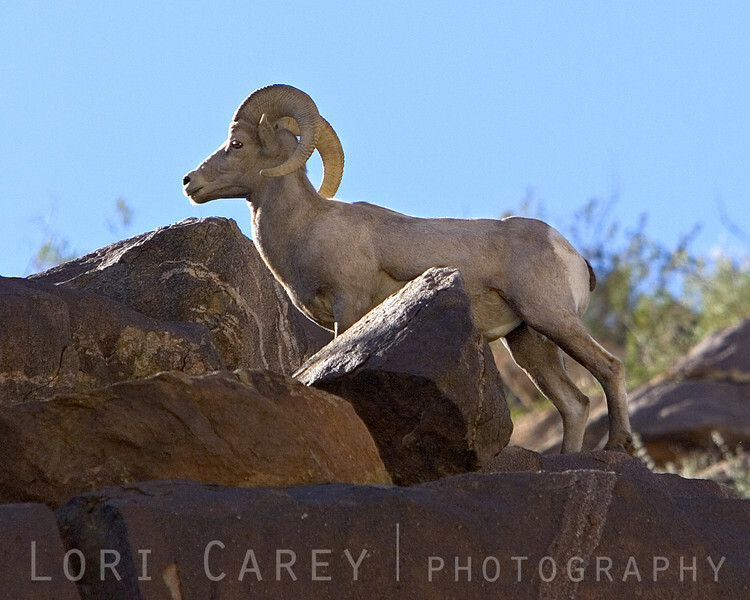 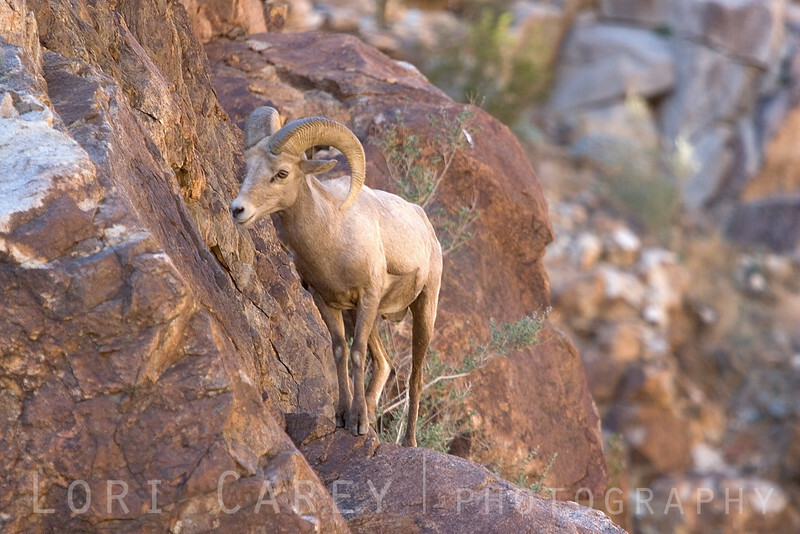 Desert bighorn ram am watching over the female as she drinks from the stream. 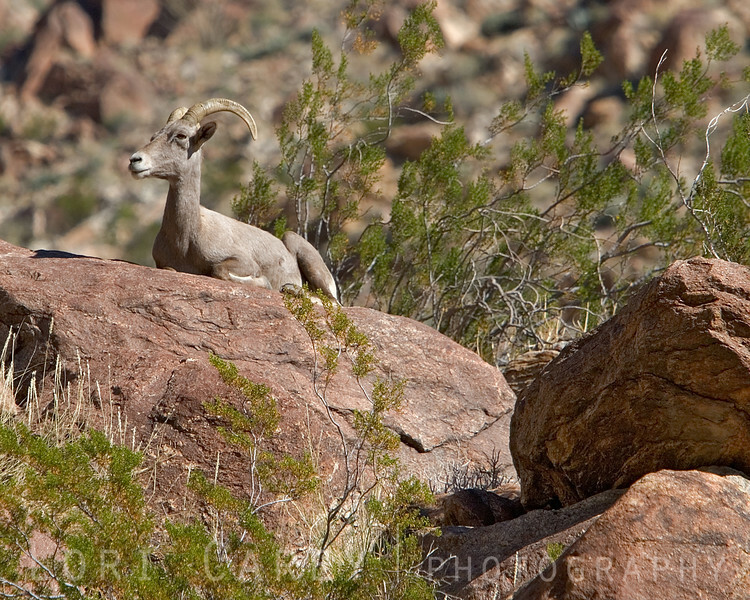 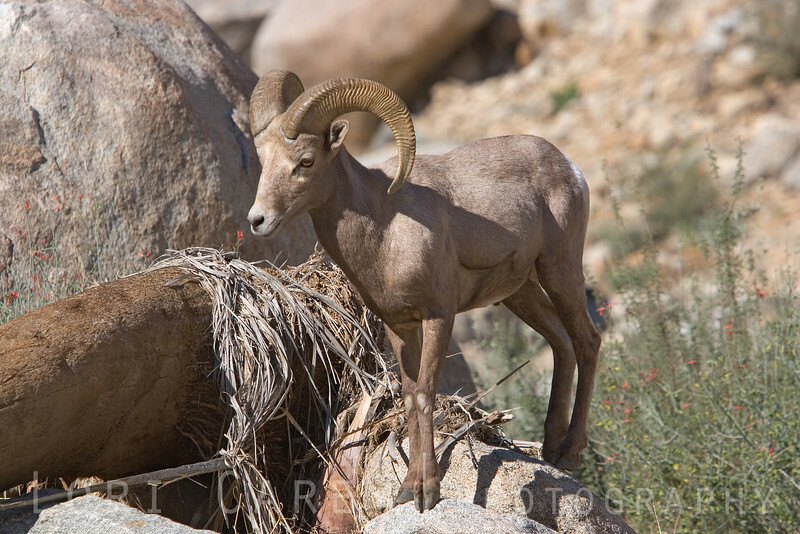 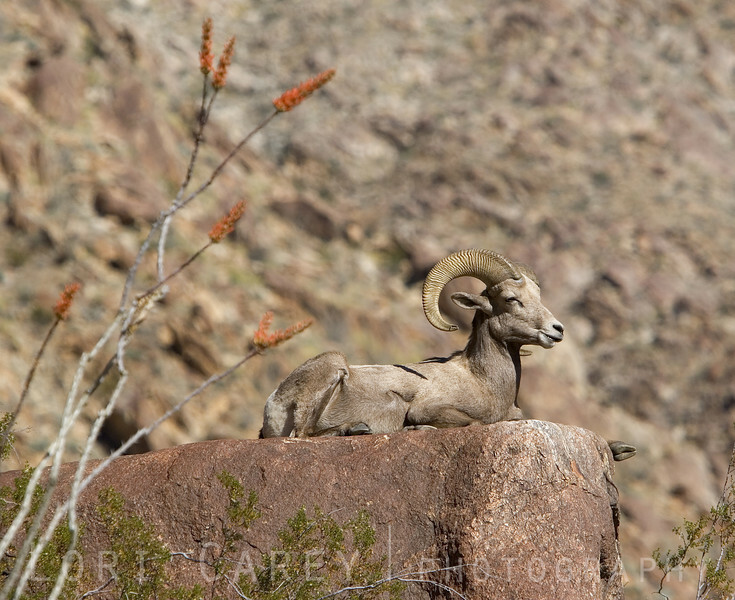 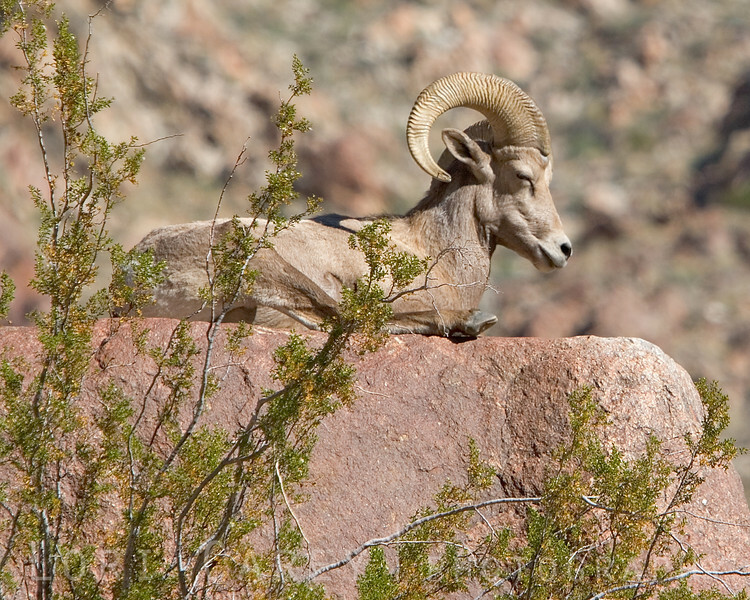 A Peninsular Bighorn (Desert Bighorn) ram rests atop a large rock and chews his cud at midday in Borrego Palm Canyon, Anza-Borrego Desert State Park, California. 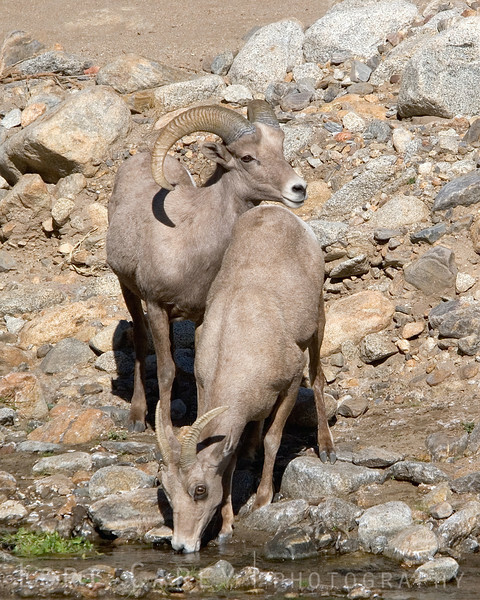 Ovis canadensis has been listed under the California State Endangered Species Act (ESA) since 1971 and the Federal Endangered Species Act since 1998, but their numbers continue to decline rapidly due to urban expansion and mountain lion predation. 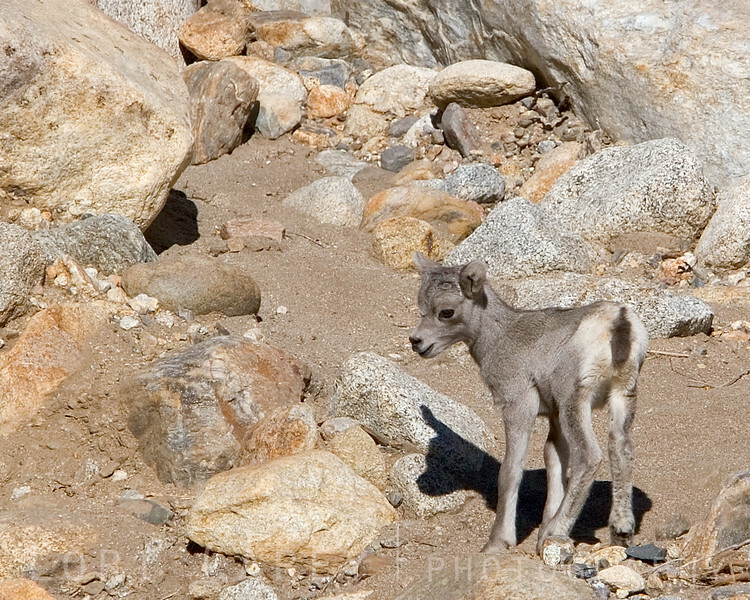 Current estimates are that less than 800 remain in the US, with some estimates as low as 335. 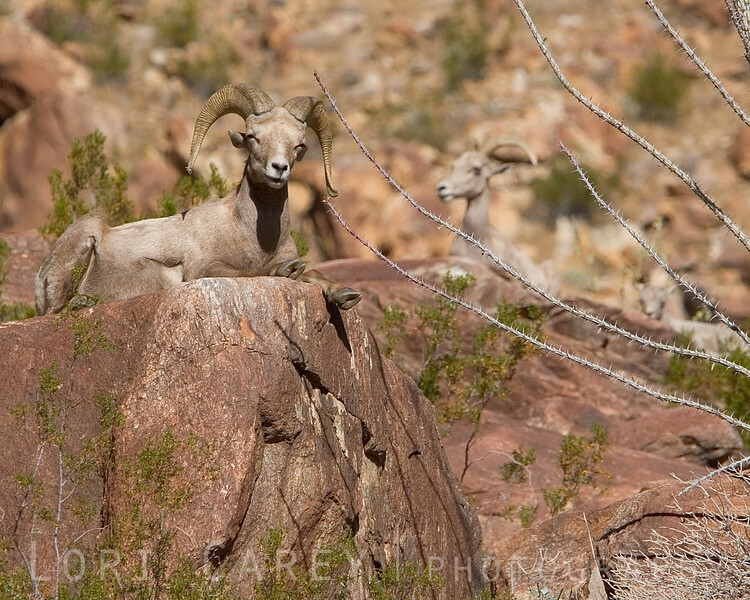 Desert bighorn enjoying the sun, ocotillo in foreground. 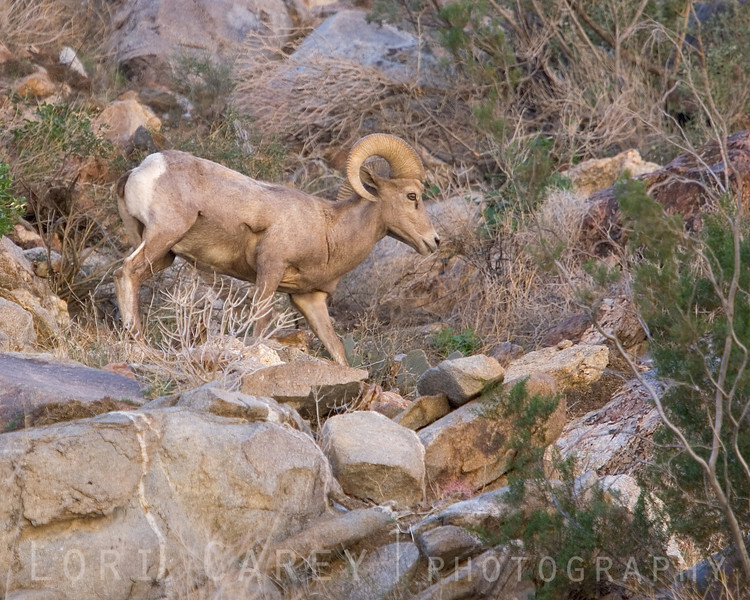 Peninsular bighorn (desert bighorn) ram crossing a dry riverbed in Borrego Palm Canyon, Anza-Borrego Desert State Park, California. 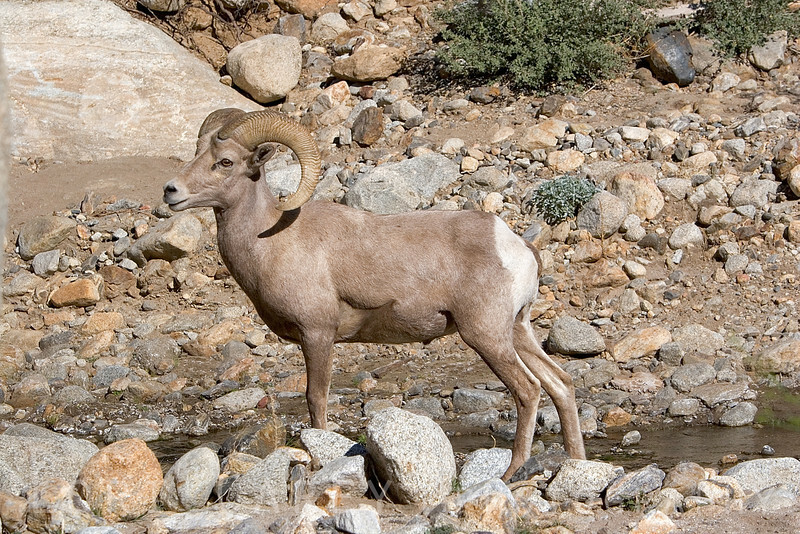 Ovis canadensis cremnobates has been listed under the California State Endangered Species Act (ESA) since 1971 and the Federal Endangered Species Act since 1998, but their numbers continue to decline rapidly due to urban expansion and mountain lion predation. 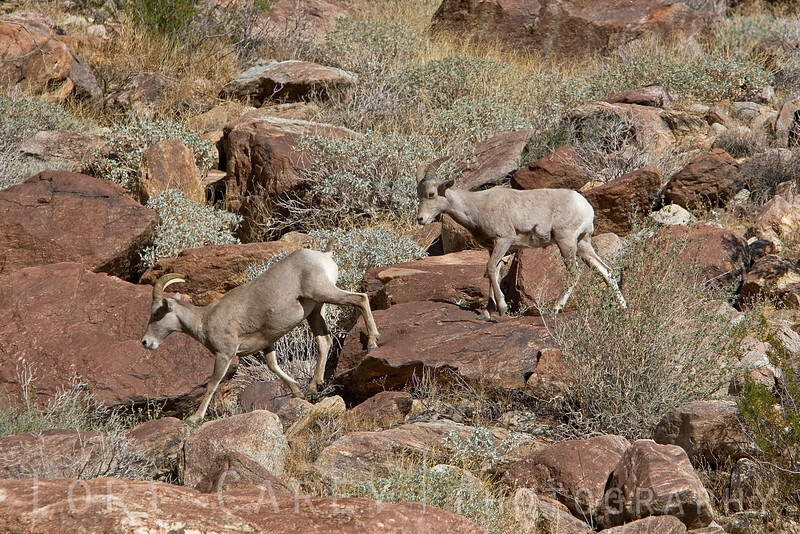 Current estimates are that less than 800 remain in the US, with some estimates as low as 335. 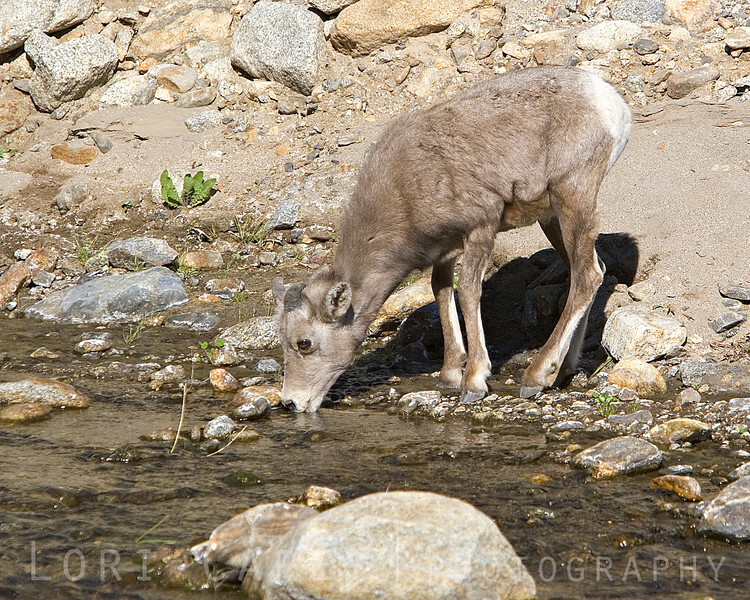 Peninsular (desert) bighorn button buck enjoying a cool drink of water at the stream. 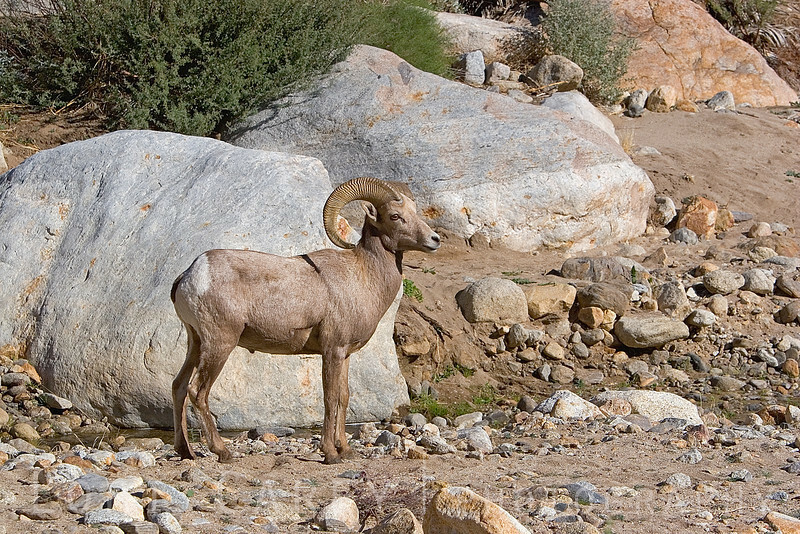 Peninsular (desert) bighorn ram (ovis canadensis cremnobates, later ovis canadensis nelsoni)in a riverbed in Palm Canyon in Anza-Borrego Desert State Park.Ovis canadensis has been listed under the California State Endangered Species Act (ESA) since 1971 and the Federal Endangered Species Act since 1998, but their numbers continue to decline rapidly due to urban expansion and mountain lion predation. 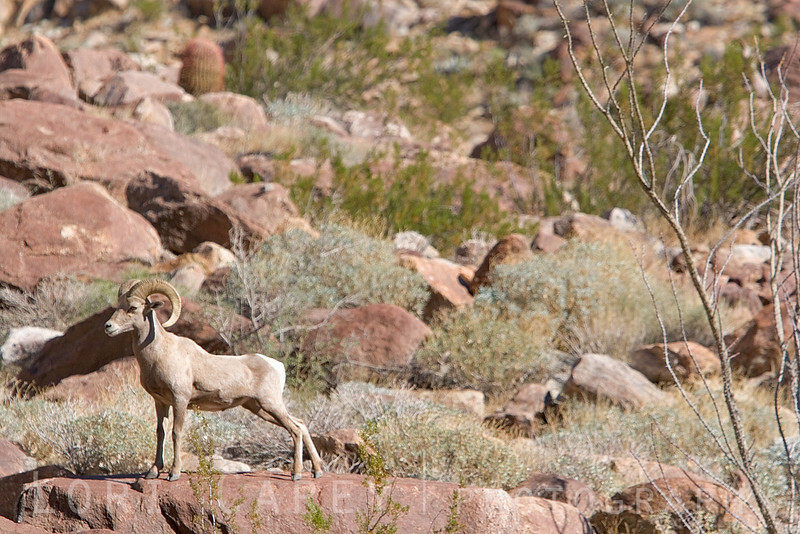 Current estimates are that less than 800 remain in the US, with some estimates as low as 335. 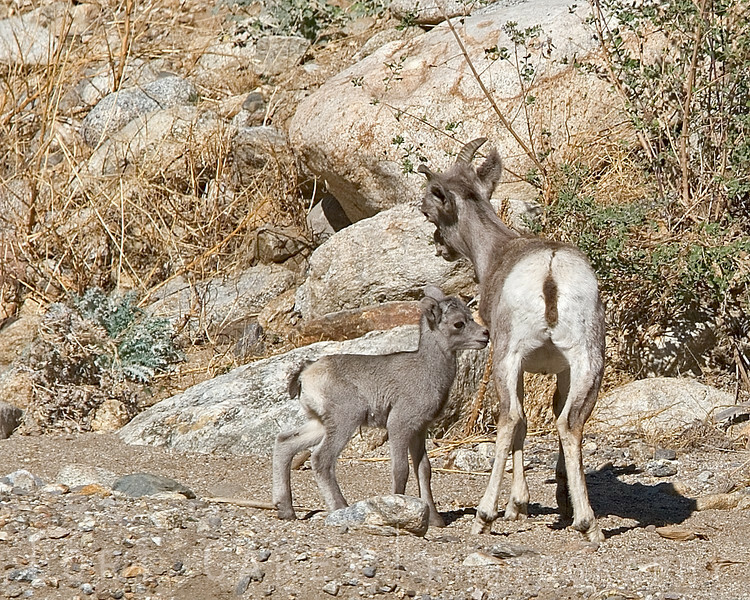 An endangered desert bighorn suckling calf in Anza Borrego Desert State Park. 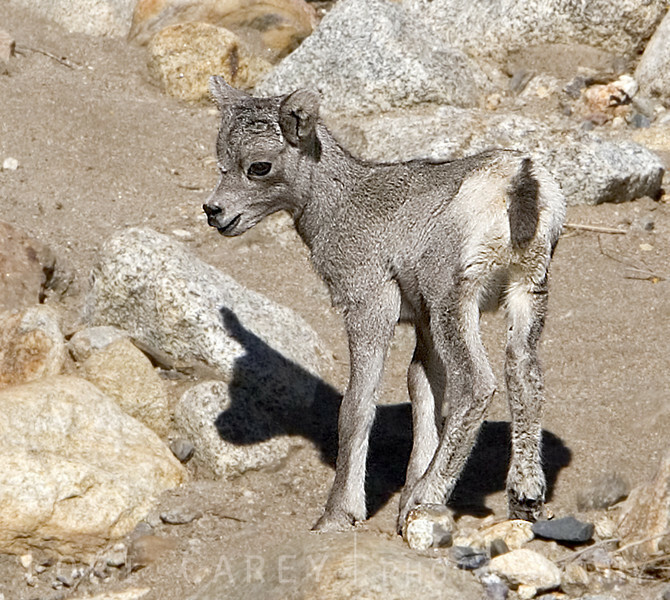 This was the first reported sighting of this calf. 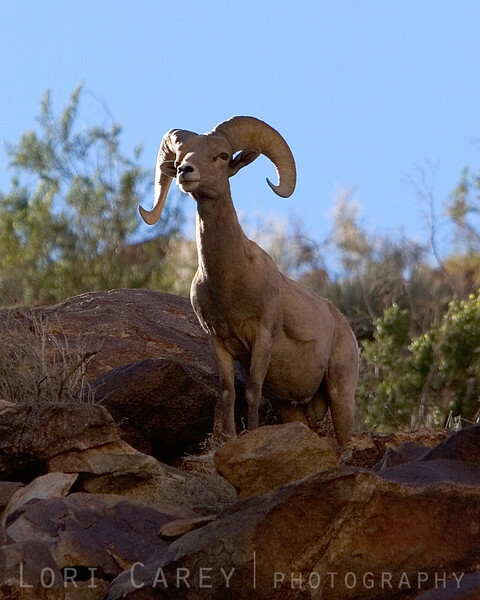 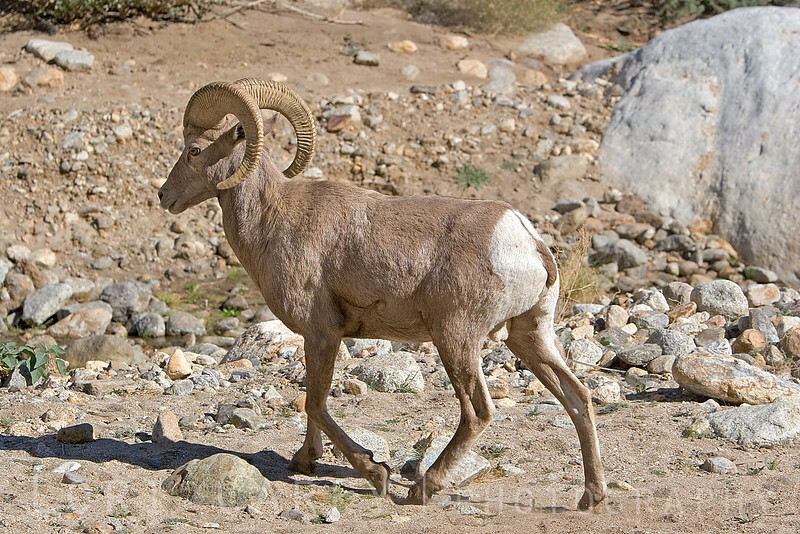 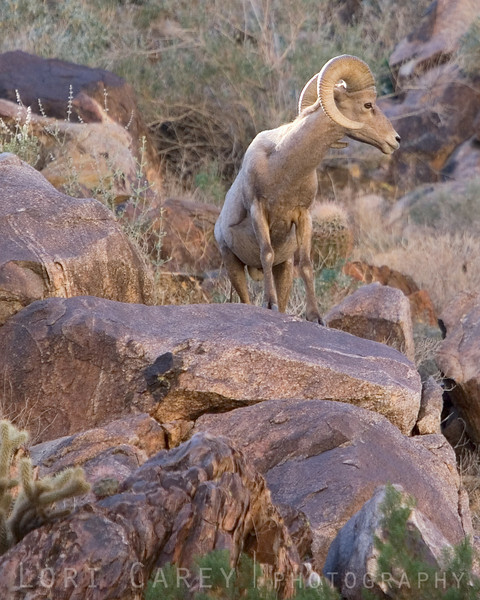 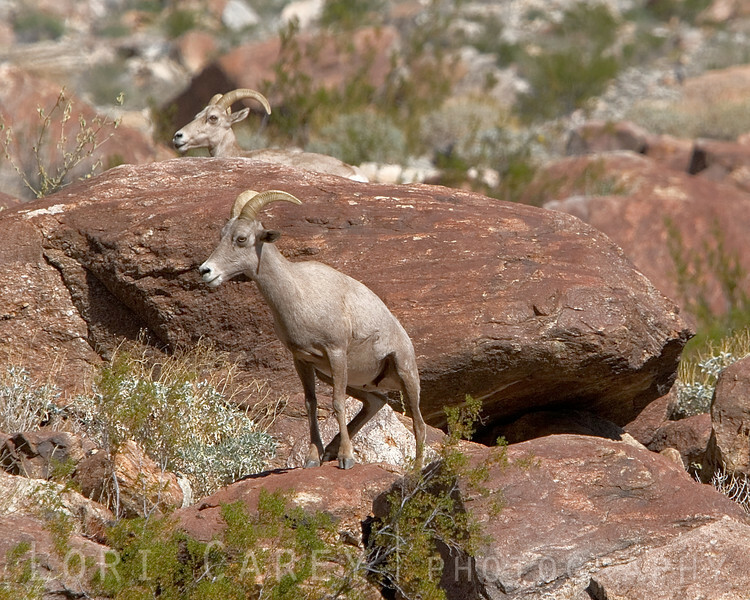 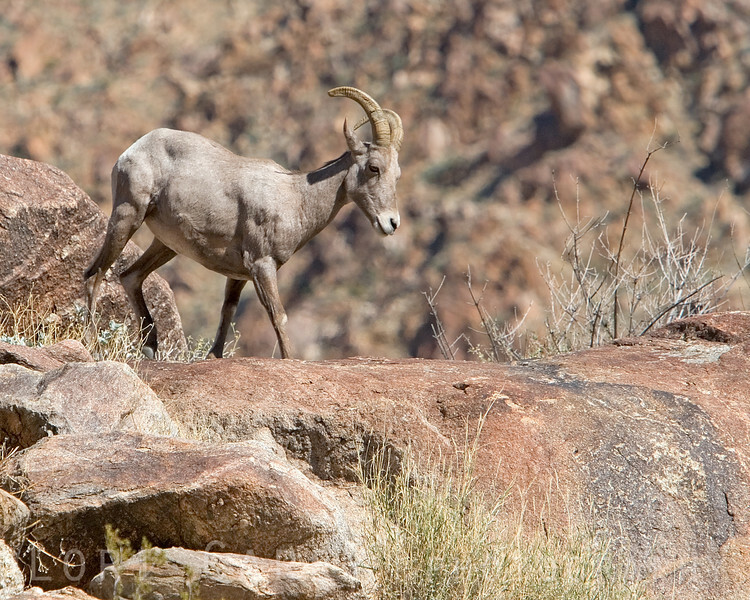 A desert bighorn button buck in Anza Borrego Desert State Park. 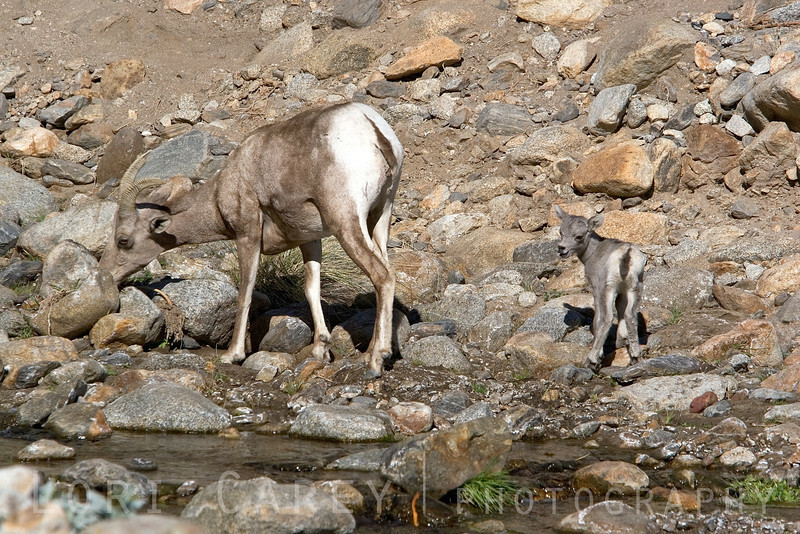 I believe she may be pregnant. 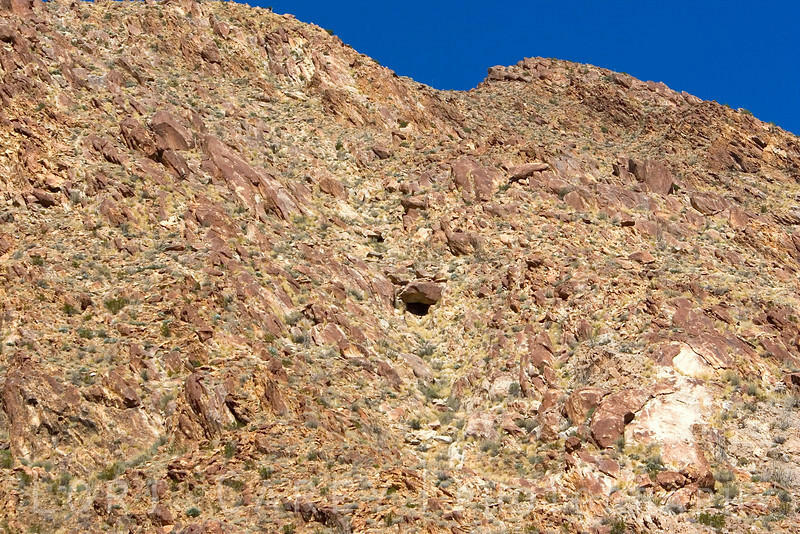 While scanning the cliffs for sheep I spotted this cave high above. 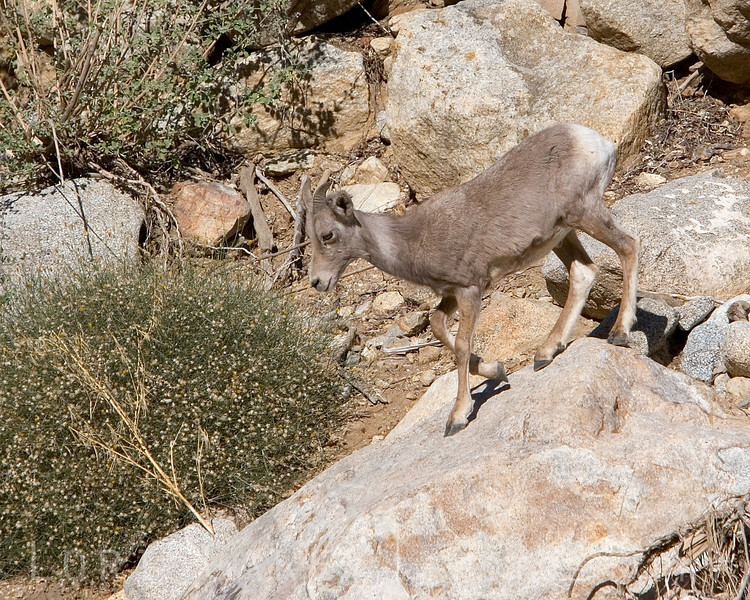 The colors of the rock and plant life in Anza-Borrego provide the perfect natural camouflage for the sheep; they are almost impossible to spot unless they are moving. 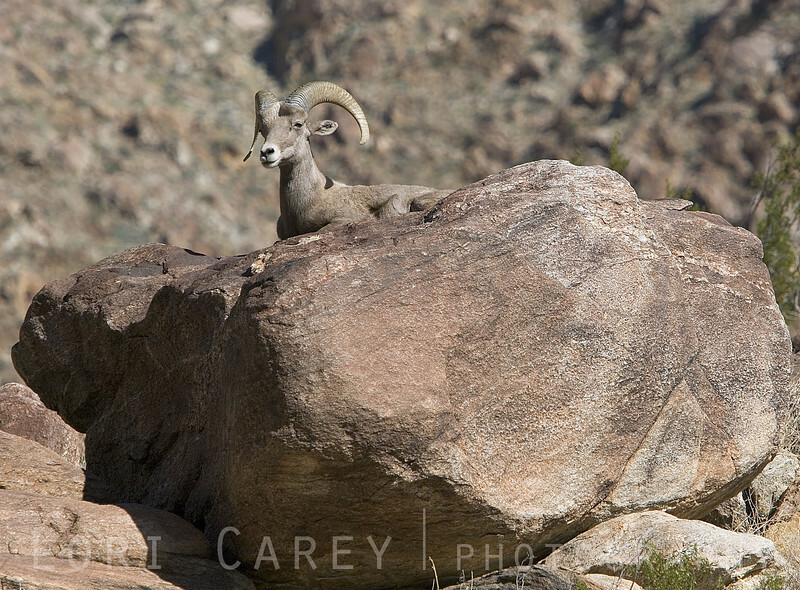 Just look at those gorgeous hazel eyes! 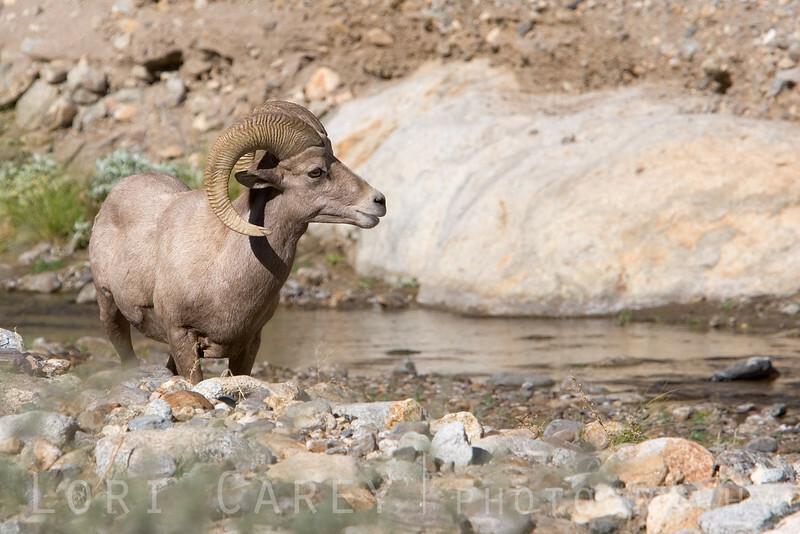 Although I was set up across the stream from the herd, this ram crossed over to check me out a few times. 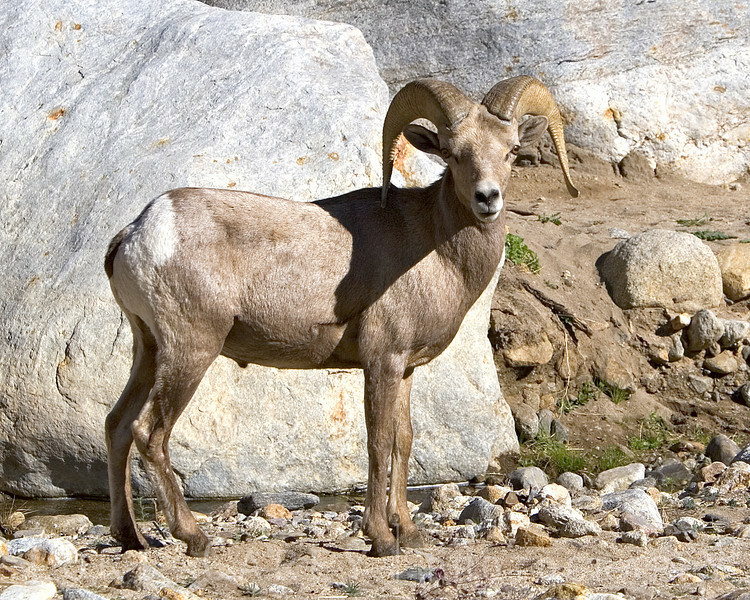 Peninsular (desert) bighorn ram in a riverbed in Palm Canyon in Anza-Borrego Desert State Park.Ovis canadensis has been listed under the California State Endangered Species Act (ESA) since 1971 and the Federal Endangered Species Act since 1998, but their numbers continue to decline rapidly due to urban expansion and mountain lion predation. 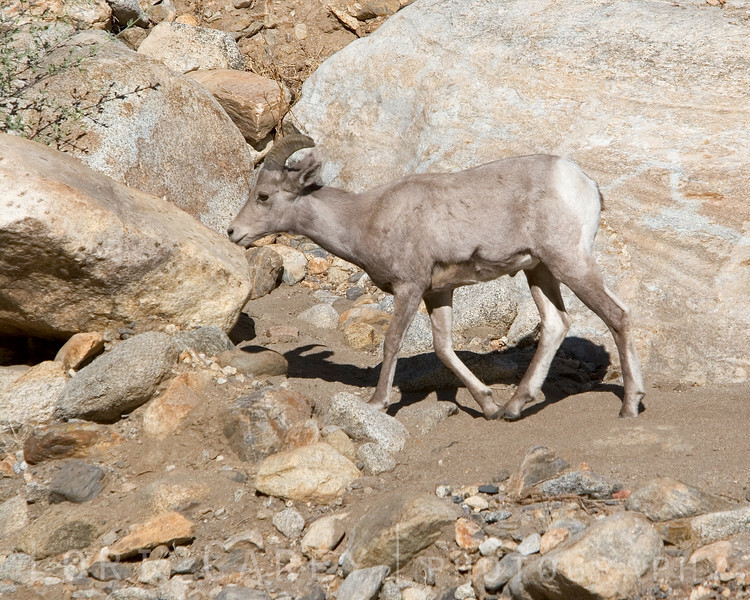 Current estimates are that less than 800 remain in the US, with some estimates as low as 335. 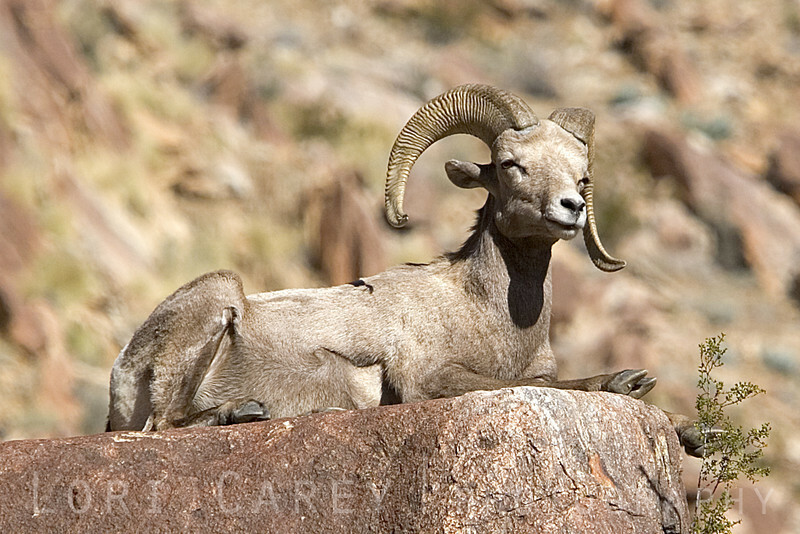 This ram just loved to strike a pose and show off. 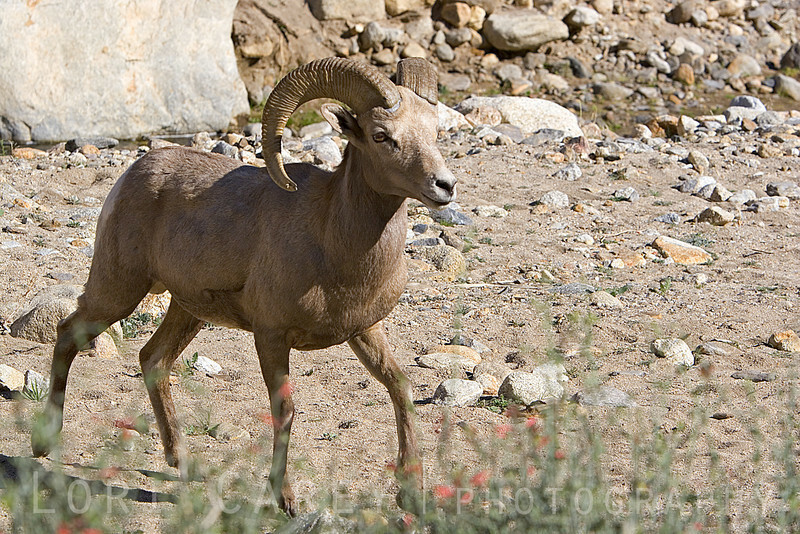 He was absolutely gorgeous. 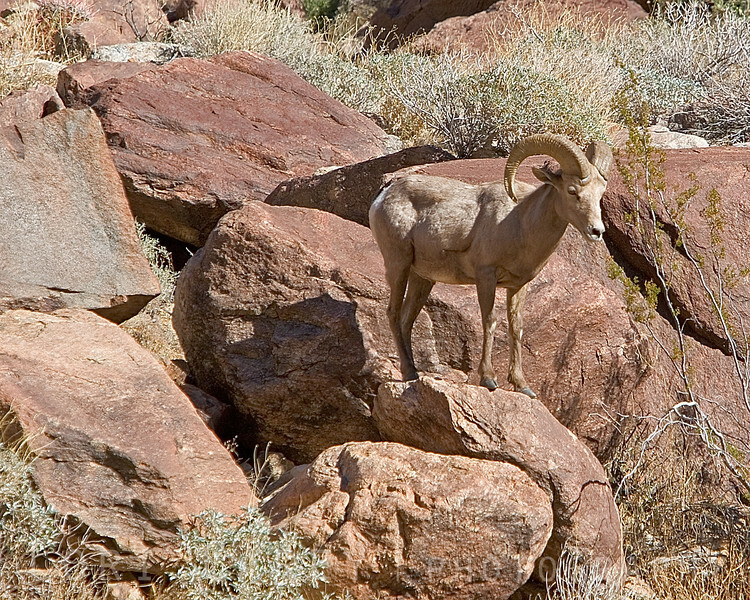 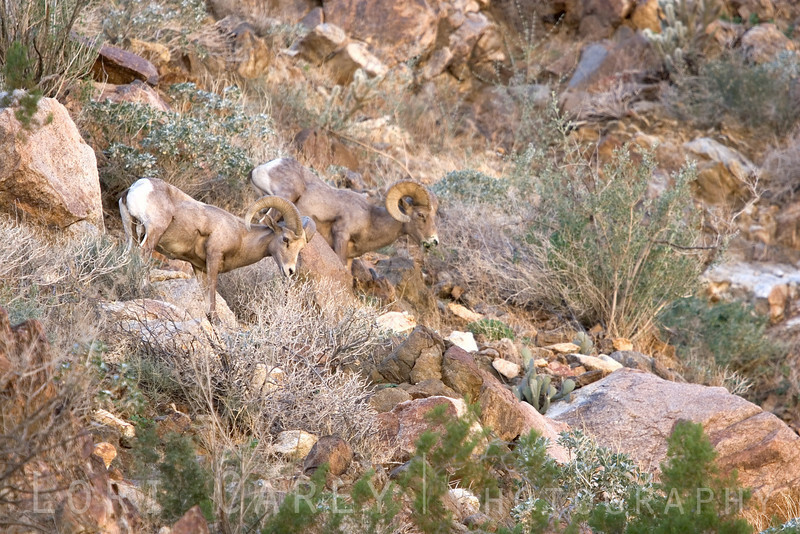 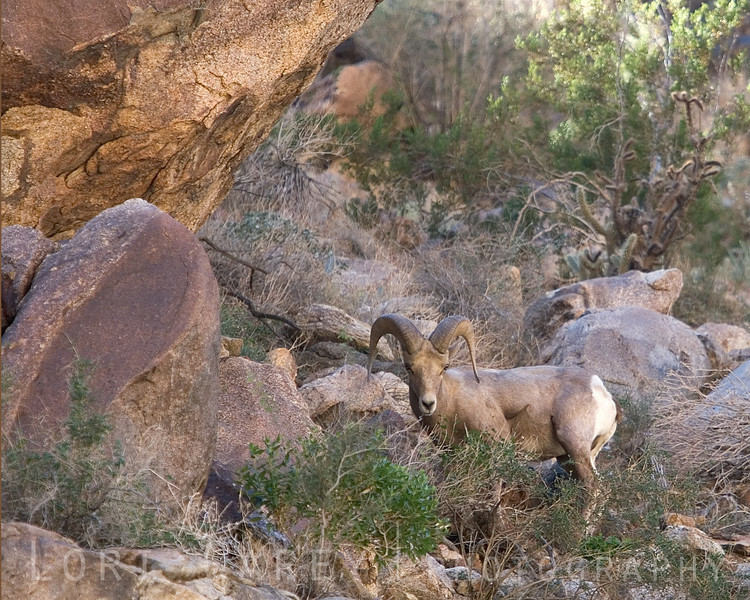 Peninsular (desert) bighorn sheep (ovis canadensis cremnobates) in Anza-Borrego Desert State Park. 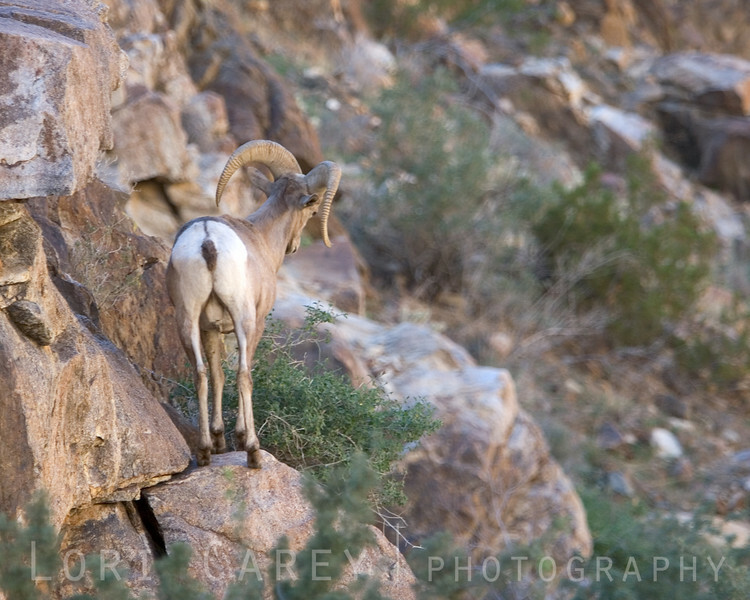 This ram was keeping a close eye on the ewe as she came down from the cliff to drink at the stream. 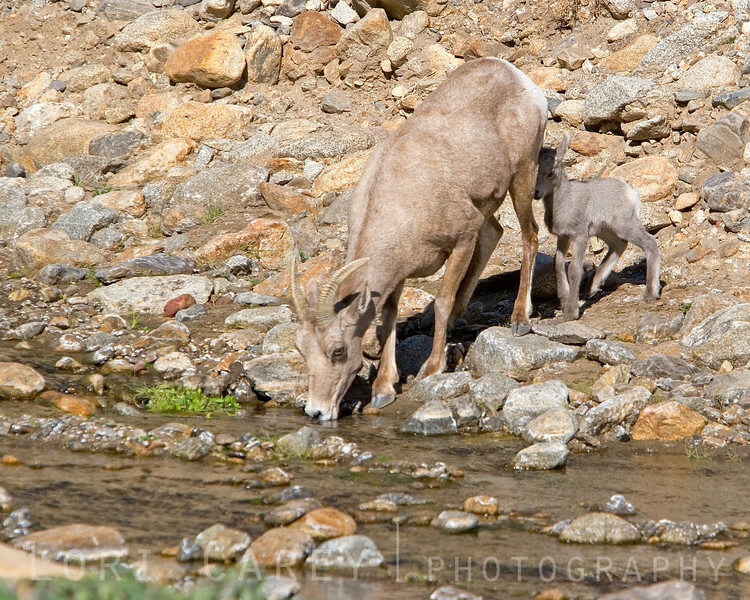 He escorted her the entire way and stood watch at her side while she drank. 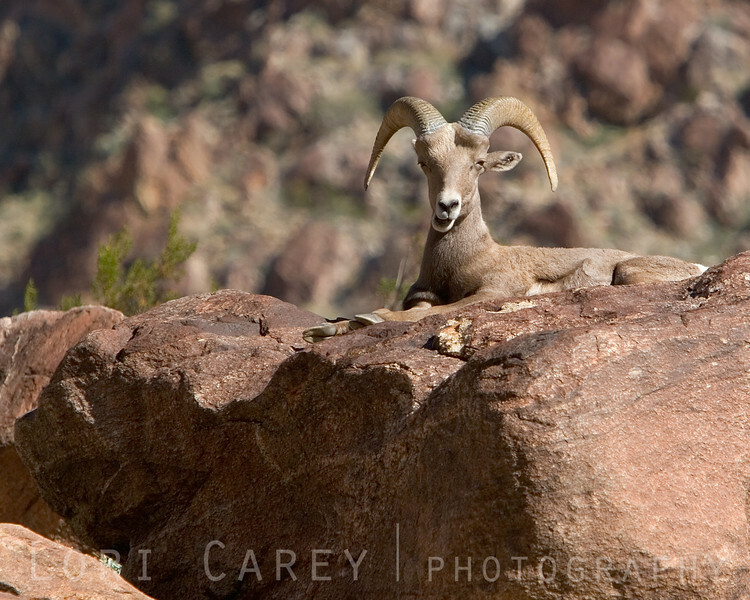 Same photo, different crop - just to give the scale. 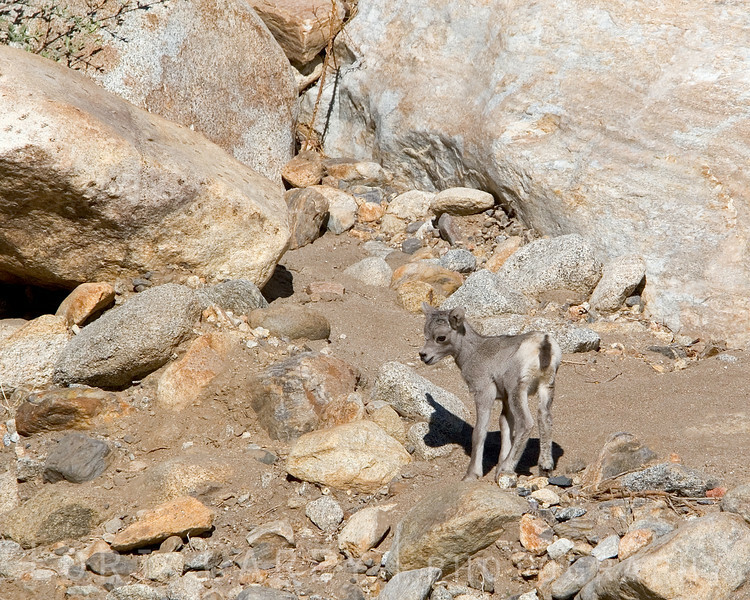 The calf really blended in to the natural surroundings. 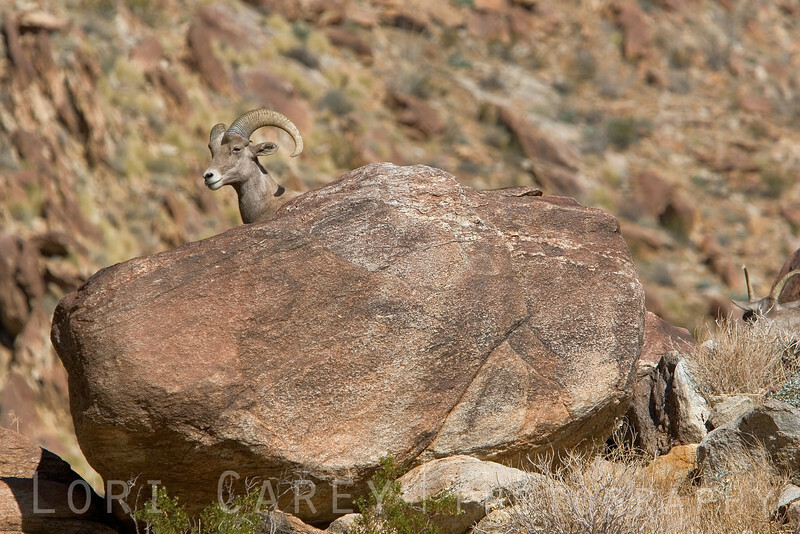 Showing off some rock skills. 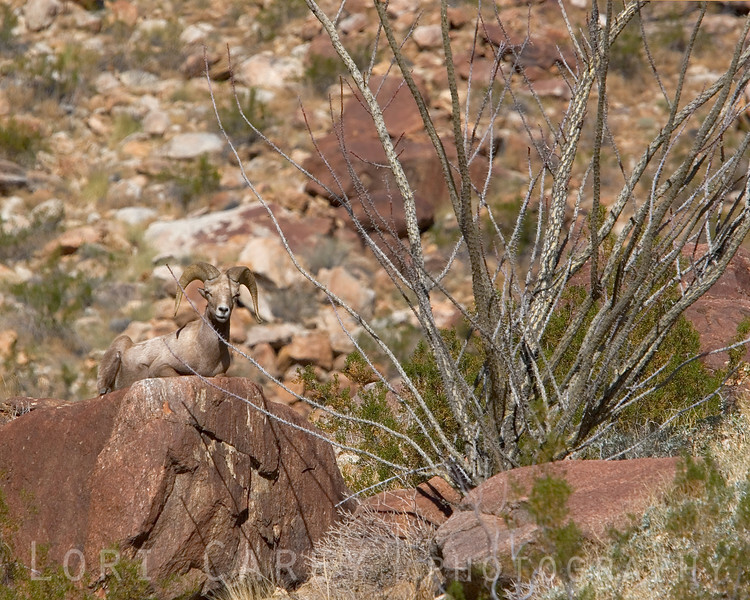 Another great example of how well camouflaged the sheep are.